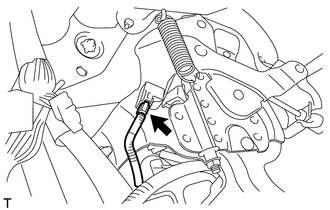 (a) Install the parking brake pedal assembly with the 3 nuts. (b) Connect the parking brake switch connector. (c) Install the No. 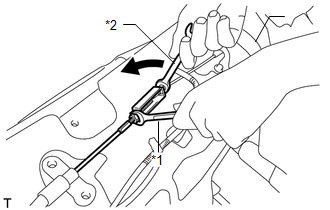 1 parking brake cable assembly with the nut and 4 bolts. (d) Temporarily install the No. 1 wire adjusting nut and lock nut. 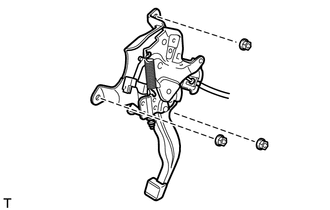 After adjusting parking brake pedal travel, tighten the lock nut. (e) Engage the 4 clamps to install the wire harness. (f) Connect the 2 connectors. 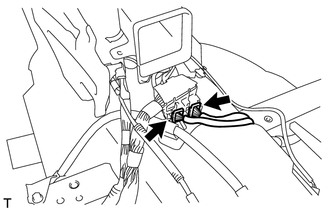 (g) Connect the heated oxygen sensor connector and engage the 2 clamps (for 2GR-FE). (a) Holding the lock nut of the No. 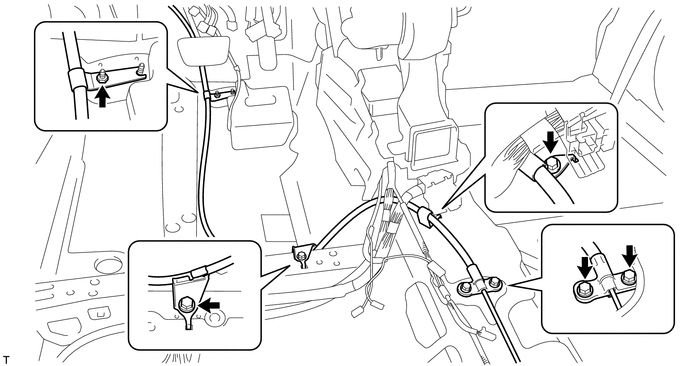 1 parking brake cable assembly, tighten the turnbuckle of the No. 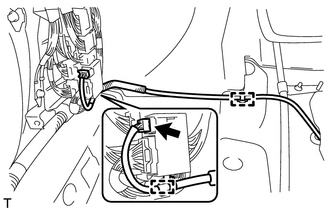 4 parking brake cable assembly to connect the No. 4 parking brake cable assembly to the No. 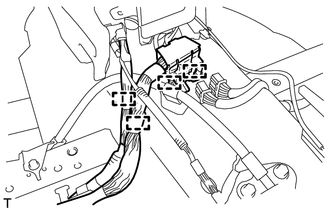 1 parking brake cable assembly. 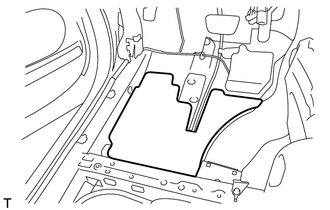 (a) Install the front No. 2 floor silencer. 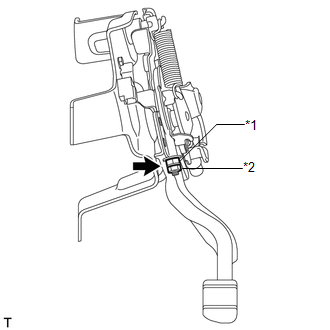 Refer to the instructions for Installation of the yaw rate and acceleration sensor (See page ).